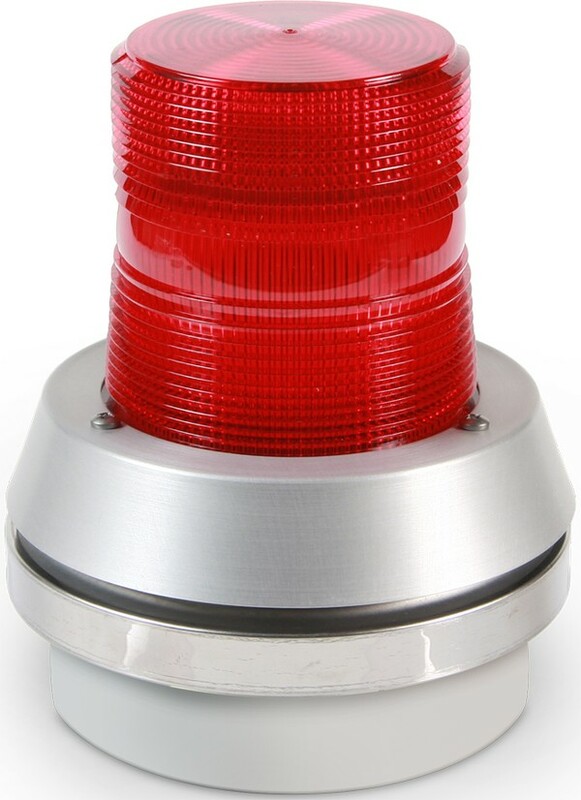 The 51XBR superbright LED signal is a combination audible and visual signal providing two levels of sensory notification. 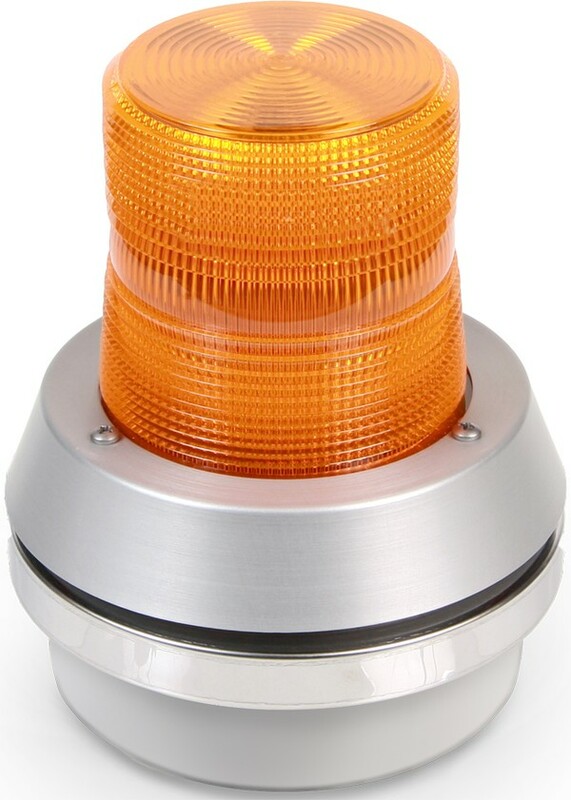 The integrated horn is synchronized with the flashing LED. The units are designed for indoor or outdoor applications and are available in 24V DC or 120V AC. The polycarbonate double fresnel lens is designed to magnify the superbright LED inside, while maintaining a high level of scratch and impact resistance. 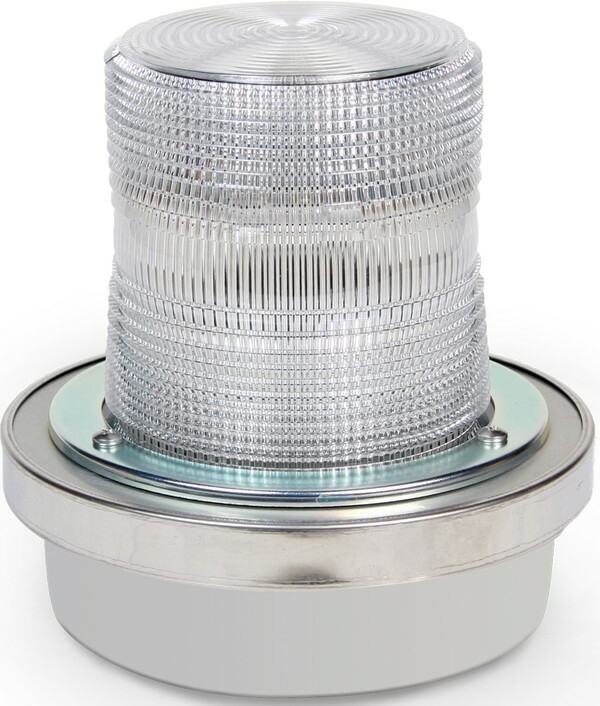 The 51XBR cast base can be used as a junction box and allows for surface mounting, mounting on 1/2" NPT conduit or mounting on a 4" (102mm) octagonal box. A hardware kit is included for direct surface mounting applications. For outdoor applications, the unit must be mounted vertically with the lens facing up. The 51XBR dual purpose beacon is designed to alert personnel in industrial, commercial, and process settings when an operation is starting or stopping or potentially malfunctioning.